Interviewer: Hallo, everybody! Welcome to this episode of “medical views”. We have today an interesting topic that should deserve our attention. Let’s welcome our guest. Welcome back, Mr. Physician21, to our program. Physician21: Thank you very much for this nice introduction. It is my pleasure to be here. Interviewer: I think the topic of today have special importance as its name implies, ‘the foul entity’. How could you imagine it? Physician 21: ‘The foul entity’ as I could imagine is a natural component of our world that can turn our life to a true hell. We people do not like to have problems but our life does need them, anyhow. Interviewer: So, ‘the foul entity’ is the site or station where all devil would be knitted. Interviewer: You mean it implicitly that the problems we have in our lives would have similar patterns that can be foreseen in definite paths and models. Interviewer: So, what is the significance of your view in attributing the entire devil to one thing, one station or one entity? Physician21: The advantage is quadruple. First, you won’t handle people in some unpleasant situation but you consider a divinely present ‘foul entity’ that knit problems – by dimension – for our satisfaction. Second, here, people are only objectified in the course of ‘the foul entity’. Then, you ultimately do not condemn people who may or may not resolve any time. Third, according to that view problems – both from outside and from inside one’s self – can be better foreseen, received, interpreted and handled. Fourth, the existence of a ‘foul entity’ should lead to the belief in a much larger good ‘all’ that contains and maintains all good meanings and things. Of course, the attachment and belonging to such great good all would bring a great joy and relief every time one is aware of and protected from the bad effects of ‘the foul entity’. Interviewer: This imagination sounds very beautiful when people do not condemn one another but only condemn the bad deeds and be aware of their divine source according to your view. How could ‘the foul entity’ affect someone in a bad way? And where would be the protection sought for? Physician21: ‘The foul entity’ may work in different ways or models, for example, through the “bad chance” like when somebody calls you by mistake at midnight. In this case you should know it was not meant to bother you. The protection shields against the foul entity include, therefore, positive thinking, forgiveness, generosity, innocence, reflection, and good spirituality. Interviewer: To summarize, ‘the foul entity’ as imagined by our guest is a natural component of our moral world that is needed to refine people’s ability and willingness to do well. So, it ultimately works for our benefit on the condition that we are able to divert its seemingly bad tricks and plots to the flourishing of our really good. Thank you very much, Mr. 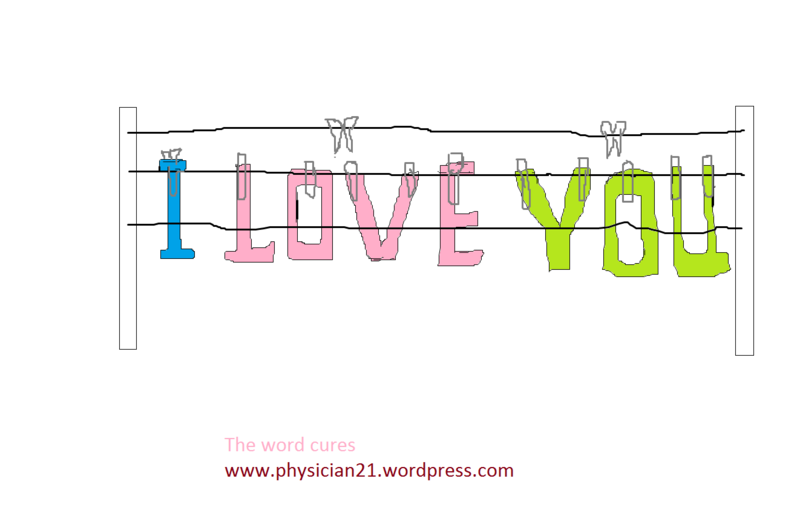 Physician 21, for this great idea. Physician21: Thank you, Sir, for your extraordinary presentation. All the cares and problems I had seem to come from one “thing”, one “structure”, one “entity”; let it be the foul entity. This is because the problems and the embarrassments would happen in a similar pattern: misunderstanding, different views, variation, misfortune and harmful chance. But what if our whole life is based on naughty working of such “bad entity”? Would this also be a bitter makeup of our world? The world seems to me to be basically nicely sounding, happy, enchanting and fruitful. Let it be the skies, they look wonderful. The nature in Earth is also beautiful with peaceful plants and innocent animals. The good is by far much greater than the bad; the good all is much greater than the small foul entity. But apparently we people would not be likely to survive or to advance only in that vast good all and the existence of such small foul entity would be, therefore, necessary. We have to taste bitterness, feel pains and strive for values and good answers and responses. When I do well I become more attached to the good all and more apart from the foul entity. The reverse is also true. Here, I no longer have problems with people who would do bad because they become merely a phenomenon of the working of a divine foul entity that would harm only susceptible people who are somehow not protected from its harmful effects. Those harms are all undesirable things we may have in this life like disease, cares, shortage of resources and disability. There are definite and finite protection rules for happiness and satisfaction against the automatic working of the foul entity. These include forgiveness, innocence, generosity, hope and prayers for one’s and everybody’s health and wealth. At this time I feel how great I would be, how important and how valued. As the good all would be on my side when I do well and good. I am not in charge to change badly doing somebody or some bad circumstances but I am ready to understand that it is all about help and hope to evade a continuously working foul entity for the sake of people’s benefit and advancement. [ᴣ(ǝ)/ʃãt]. After being well contented with the dormant “e” at the end of “chante” I wish to experience the root “chanter/enchanter” in this soft echoed essay. Chanting is not only for lovely and happy birds as it is also the case with flying. Everything including human may wish also to chant and fly like lovely birds explicitly do. 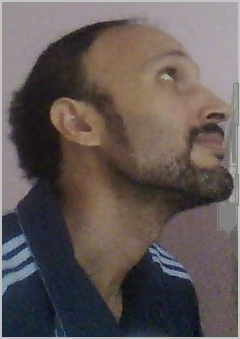 Some times when one feels happy and even very lucky a feeling of peace and enchantment is compared to flying, i.e. to fly of happiness. At least once in a whole life time somebody might have felt like that. Things that do not have suitable prerequisites to sensibly fly like wings, do fly and experience flying in their inside by a wish, a tendency and again in their thoughts and dreams. In this way, we humans fly too. Singing may be a means to experience flying and release. Chanting is a feeling and sincerity in which the tones and sound quality come only last. Chanting is a motive to experience flying and show a positive thing to relieve a pain or to cheer up. A singing human can be compared to a nightingale only when the song is full of charm and honesty, and when words and tones are well aligned to passion and goodness. A thing that is chanting and enchanting is one reflecting care and regard. Here, a song is not simply heard or echoed but even more perceived by all senses; the obvious and the secret. Will you fly with us? – A nice placard at the door of a travel office. The concept of flying would generalize from just a wonderful fly trip on a comfortable board for a few hours having amazing sights of the round earth and ever vanishing houses and landmarks, hugging the white clouds and sliding on wind turbulences to a life concept and personal attitude of passion, goodness and charity. This is a chanting physician21@wordpress.com. Many of us would wait and postpone the setting out of their unusual abilities in management and creativity until some apparent turning points like getting married, having a good job or inheriting a wealth. The postponing time would thus remain a matter of chance and speculation. Other people may not at all be aware that management of life and achieving success is a clear cut outcome of well established rules and definitions. Given the known statement I once had in a school language book: “you are a state in yourself”, one should learn too how to invest and strive to apprehend and exercise those rules of self-management. The management of self includes everything one may do and would be surmounted by either well being or recession. It includes everything from the way one speaks and eats to the way how to think and evaluate. It includes, accordingly, time management, setting of values and aims, and decision making. With the view of an eagle’s eyes the management of self is the biggest topic under which we may understand our care to get good education and good company, to excel professionally and socially and have an impact that may last after we have left this world. Such information about the optimal handling of one’s resources, the so called the ‘management’ or the ‘marketing’ of self, is crucial for an appreciable conduct in life, and the next step of its rules and details should be a subject of time and/or trial and error. I know that I may not be the person who could be very helpful in discussing this basic life item as I need to learn it too. However, I could convey a few advices I have just read in reading book for prep school: 1) be generous to others, 2) take it easy, 3) think good about others, and 4) do not exaggerate in punishing others. From my personal notices; I realize that the very personal view and impression of the individual would determine the way in which he/ she acts. That’s why it is important to determine and define which kind of person one would like to be: a noble, tight-fisted, depraved or trivial. A noble person is a one who willingly treats people generously and good. Tight-fisted is the person who won’t be good unless to face an expected loss or shame. Depraved is the one who intentionally and persistently does bad. Trivial is a person who crudely and undetermined doesn’t do good and he/ she may not do it under any case. Each one of these four person types could have almost typical attributes considering values, ideas, aims, interests and conducts. Very relevant to the management of self are the motives and drives. These could show and provide many embarrassments especially for those who wish to live as nobles, because they may be a common place for defects and weakness. Embarrassments could happen when they faithfully and nobly consider an issue that may not be considered at all as wisely placed by others. And the weakness could be when they grow a lot of fear that shadows their deeds and hampers their progress. In situations where fear would be an element one has to distinguish between courage (opposite of fear) and prudence (wisdom) from one side and fear and defeat from the other. In other words, in order to beat your ‘sweeping’ fear does not mean to dispense with your wisdom and its ‘decent’ courage. Because in many situations being wise and prudent can dictate the same act as that of being fearful though the motives in the two cases are absolutely different. I used to look for happiness in other people until I realized it was my responsibility. Now I am on a journey to find my happiness through the things I love: food, friends, experiences, books, photos, etc. Has anyone thought ever what the best and cheapest cure could be? I might have got an answer: the word. It is the word that conveys love and respect; the word that spreads hope, light and warmth. Nothing in the world can do all this other than the good word. Should it have to do with pain or with some shortage and stress? Does the situation concern confidence and competence? Or were it a sweeping fear and unbearable doubt? I never wonder when one single word turns all this misery to delight and existence. As a physician one might ask; what could a word do for an acute appendicitis or a heart attack? The answer, and hence the role of the word, will depend largely on the way one thinks. If one thinks of the blessings of the good word, the urgency of the situation would lessen quite enough so that a typical medical care would be optional or even superfluous. Because such extreme belief and sensitivity are always the exception, in the general practice the role of good word would be confined only to fulfill ethical and moral aspects of the cure art. What could the word do, on the other hand, when used badly? A bad word might obscure light, steal hope and threaten talent. A bad word might impair and impede the mind, mislead the aims and spoil the potentials. Even, renal colic, stroke or lost temperance, for example, might be precipitated by one bad word said with or without intention. In other words, the cost of word misuse in our life might far exceed the inevitable losses caused by labor, thoughtfulness and care we invest to achieve our existence and satisfaction. That’s why we should train ourselves to best use our word treasure as much as we are keen on taking courses to improve our work and professional skills. Who believes in the beneficence of word, might look a bit different, because in an increasingly materialized life a brilliantly good word might be overlooked. But when every kind of medicine and manipulation may be insufficient for cure and relief, then one may reconsider the good word as the best and cheapest cure.